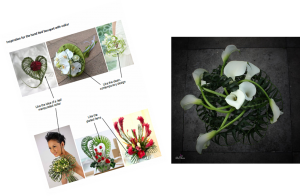 Wedding mood boards – Do you need one? Mood boards are an absolutely fantastic tool when designing anything, not least planning a wedding! 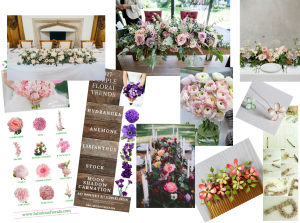 I use mood boards all the time to collect together my ideas for floral designs before actually setting out to make them. It might seem a little daunting at first and some people may think it’s a waste of time, but I promise you… you will relish it once it is finished and refer back to it throughout your wedding preparations. Simply put, it’s a collection of all your ideas, inspirations, hopes and dreams for your wedding. It can be pictures, colours, fabrics, photos… absolutely anything at all! You can cut images out of magazines and stick them on a piece of paper, you can build a collection of images on your computer (there are apps and online services for that) or you can use the fabulous Pinterest. It is essentially a visual representation of all the ideas whizzing around in your head! And don’t worry… It doesn’t need to be a work of art! 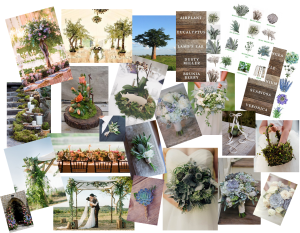 A mood board is so useful to a designer, whether it be a florist like me, or a cake maker… anybody really that you want to help make your wedding the incredible day you deserve it to be! It helps us to understand your thoughts and gives us a great starting point in the whole design process. Most importantly it helps to avoid miscommunication and misinterpretation. The nice thing is, the first mood board you create isn’t final… you can play around with it, modify it, change it, throw it away, but at least you have put your ideas down. But what if you don’t know where to start… well that is where I come in! Here is an example that will hopefully set some of you at ease… I have been asked to make a table runner for a wonderful lady who is turning 80 in December. All I have been told is that her favourite colours are purple and pink. Whilst that is a great start… I have a colour scheme… it doesn’t tell me anything about style, size, flowers to use, likes, dislikes and personal touches. So I went back to the daughter of the lady (who is lovingly throwing her a party) and asked lots of questions, which allowed me to create a mood board. This was a very helpful tool, as it showed her my thoughts and she was able to tell me what she liked and didn’t like, so that now I have a very clear idea of the design. Check back in December to see what I create!! So hands up… Who is going to go away and create a mood board? It will help you (I promise!) with so many things throughout the design process and in years to come it will be a lovely reminder of how you put your wedding together and why you chose each and every thing. Bring your ideas to life… Create a mood board! N.B. 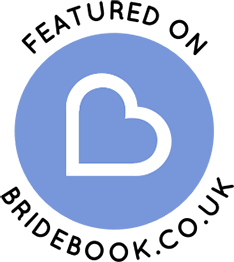 All images used in this blog have been sourced from Pinterest.